Storage is very necessary and the best important aspect in any device, the feature allows you to store information and also important files for easy retrieval. The Android operating system is one of the best and most popular operating system nowadays that is used by billions of people around the world. An Android operating system has a different version and also it comes with different amazing features as it is upgraded from time to time which also makes it stand around the crowd. 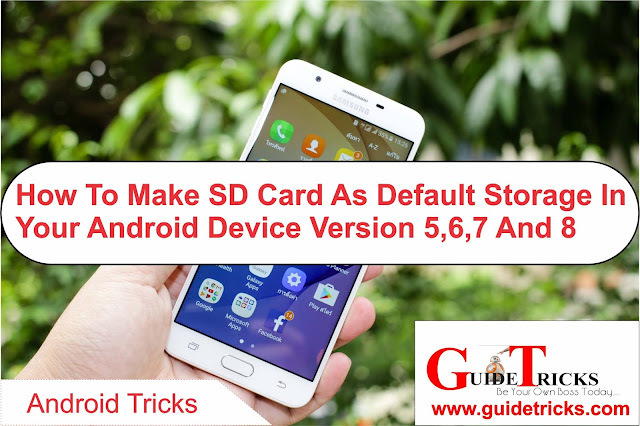 If you have an Android Smart Phone that is version 5,6,7,8 or even 9 when you install Application you will realize that all the application data are stored in the internal storage which does not only occupy space but it also makes the smartphone to work slowly. In the previous version of the android that’s 2,3 and 4, there is a feature that allows you to change the default storage to any one of your choices using one click you can also move any game or applications to either internal storage or the external storage of your device using a single click. Now in the new version of Android starting from 5 the feature is removed but it doesn’t mean that you can’t change the default storage or move applications but it differs from the previous one. 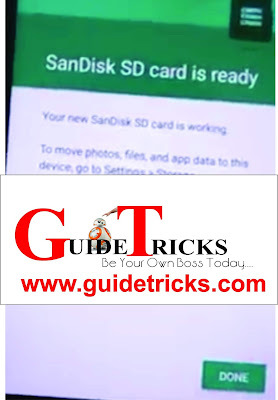 it will be done and you will have available space on your internal storage because the external storage will now serve as the default storage. This method is tested in different version and also different product and its working perfectly. That’s it. Also Check: 14 Amazing Tips that will Make Your Smartphone live a longer life. I hope you found this handy guide helpful. Feel free to join the conversation. I’ll love to hear your opinions and learn from you. Let me know if you have another way to make SD card as the default storage in the latest version of the Android operating system using the comment section below. Don’t forget to share this article with your friends and lovely one’s Happy Fixing!